As a child, Jamie Green-Fergerson didn’t realize it was possible to be gay and also be happy. “I received a lot of messaging growing up saying you can’t be queer, you can’t be a lesbian, you can’t be gay and be a good person,” she says. Green-Fergerson began volunteering with Atlanta Pride soon after, eventually joining its board of directors. 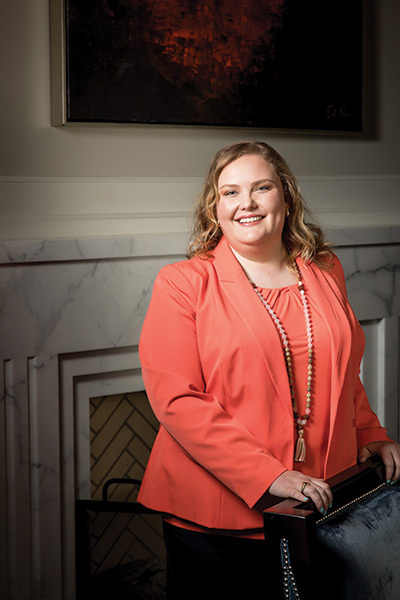 When the nonprofit’s executive director position opened up in 2015, Green-Fergerson, then senior mission manager at Susan G. Komen Greater Atlanta, jumped at the opportunity to merge her professional skills with her love for the local LGBTQ community. Now the thirty-five year old oversees the organization’s sixty events throughout the year, including the largest Pride festival in the Southeast. Her goal is to address hot-button issues—racial justice, family rights, immigration, and employment—as they pertain to members of the LGBTQ community. “I think the job of a Pride organization is to look at members of our community as whole people,” she says. Green-Fergerson says she’s proud that last year, ten percent of Pride festival attendees were straight—many came to support friends and family—and forty percent were nonwhite. In previous years, those percentages were far lower. But she’s not resting on her laurels: She says she’ll continue to push for the festival to more accurately reflect the community’s demographics. After all, in a city as diverse as Atlanta, she believes differences are a cause for celebration.